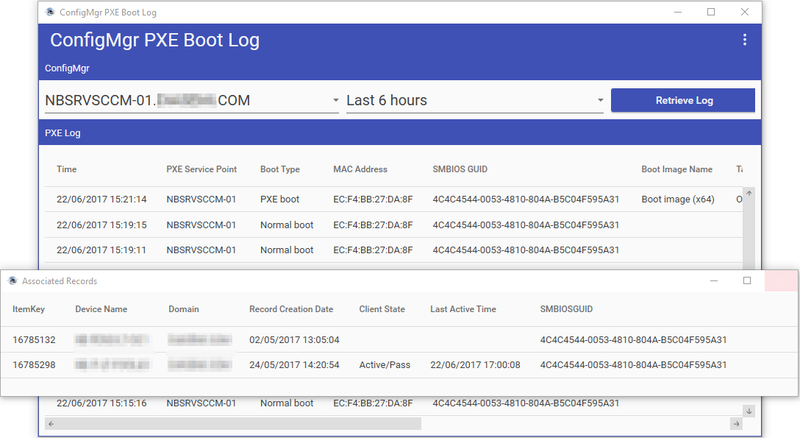 ConfigMgr PXE Boot Log displays PXE boot events in an easy-to-view format and provides a history of PXE boot attempts on a distribution point during a selected time period. The tool can also display any records that exist in ConfigMgr associated with a device based on its SMBIOS GUID. The ‘log’ entries returned come from the status messages sent by the distribution point and not from the SMSPXE.log.